OHS is able to sell donated vehicles with great efficiency to provide over $500,000 annually to care for animals in need. 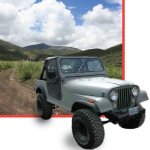 This 1980 Jeep was a four-wheel-drive fundraiser for pets! It sold for $2,500 after being donated to the Autos for Animals program. Why should I donate my vehicle to the Oregon Humane Society? 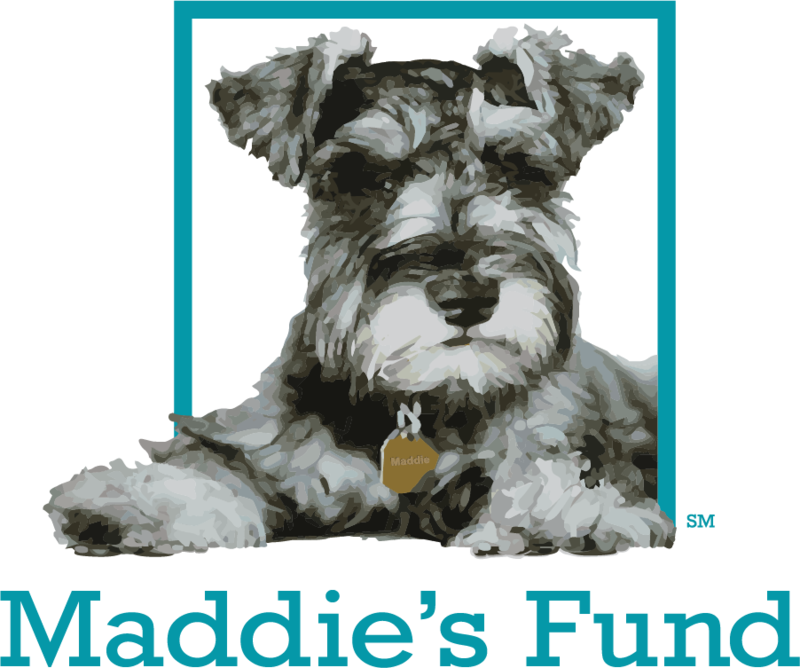 You will feel good knowing your donated vehicle will directly help the animals in your community and throughout the region. It will allow OHS to provide care and new homes to pets in need; keep our humane officers in the field investigating neglect and abuse; and support other OHS programs. Your gift helps keep our doors open to all who need our services. Your gift is being used efficiently. Because we manage this program ourselves, there are no “middleman expenses.” Therefore, a very high percentage of your vehicle’s sale price – typically 80% to 90% – goes to OHS. The “expense” portion reimburses our company partners for towing costs, providing auction services and processing DMV paperwork. Because OHS is not affiliated with any other local or national animal welfare organizations, nor do we receive tax dollars, OHS relies on the generosity of people like you to sustain this shelter and its programs. Our Autos for Animals program operates in full compliance with Oregon DMV and Federal IRS rules. What vehicles does OHS accept? The Autos for Animals program accepts donated cars, trucks, camper trailers, tractors, motorcycles, ATVs, snowmobiles, RVs, boats, jet skis, and even planes. Running and non-running vehicles are happily accepted and pick-up of your vehicle is free. Camper/travel trailers and boats are accepted based on condition. The better the condition of the vehicle, the easier it is to sell it for a good price at auction and more money comes back to the shelter to care for the animals. If you have questions about a specific vehicle, please contact Nicole Lutton at (503) 416-5027 or email. How does Autos for Animals work? Call us or fill out the online form. Our partner towing company will contact you to set up a pick-up time, if needed. They will pick up the title, consignment form, keys and vehicle. OHS will notify the DMV and send a donation acknowledgment to you. Once the vehicle sells, an official tax receipt is mailed to you acknowledging your charitable deduction. *All vehicles donated to OHS are consigned to a licensed vehicle dealer. The dealer determines whether the vehicle will sell best at an open-to-the-public auction or retail lot. How is the DMV notified? If you supply complete VIN and plate numbers, OHS will notify the DMV (for Oregon registered vehicles) that your vehicle has been donated. Once your vehicle has been sold, the Oregon DMV is notified who purchased the vehicle. We recommend that you contact the DMV to let them know the vehicle was donated if the vehicle is titled in a state other than Oregon. If you are donating a boat, it is recommended that you contact the State Marine Board to notify them you have donated your vessel to OHS. Can I keep my license plates? What if I can’t find the vehicle title? We may be able to help. The vehicle must be owned outright. Proof of ownership such as vehicle registration or a DMV print out may be requested. How much can I claim for this vehicle donation on my taxes? How? The IRS allows for vehicles with a value of less than $500 to be claimed for the fair market value. Higher value vehicles are claimed for the sales price. Immediately after receiving your donated vehicle, OHS will mail an acknowledgement letter providing proof that you donated your vehicle to the Oregon Humane Society, an eligible 501(c)3 charitable organization. After the vehicle sells, a tax-receipt will be mailed to you stating the amount for which the vehicle was sold. Typically we are are able to notify you of the sale of your vehicle within 45 days. Classic or high-end vehicles could take longer. If you want to claim a charitable deduction for a vehicle that sells for more than $500, we will need your social security number so that an IRS tax form 1098-C can be issued. For additional guidance on vehicle donations, visit www.irs.gov and see publication 4303. Absolutely! Please feel welcome to deliver your vehicle to the shelter and visit the animals you are helping. Please call (503) 416-5027 or submit the online auto donation form to start the process. We will have a donation acknowledgment waiting for you at the desk in our front lobby. Where do I sign on the car’s title? You will need to sign the title before we can accept the vehicle. In Oregon there are several versions of vehicle titles. All parties listed on the title need to sign off on the title before OHS can accept the vehicle. The DMV is particular about signatures on titles and they don’t accept scribbled out names so please sign carefully. Where can I go if I am looking for a new car? Check out the OHS Support Our Partners page or buy donated vehicles at Sergeants Public Auction.